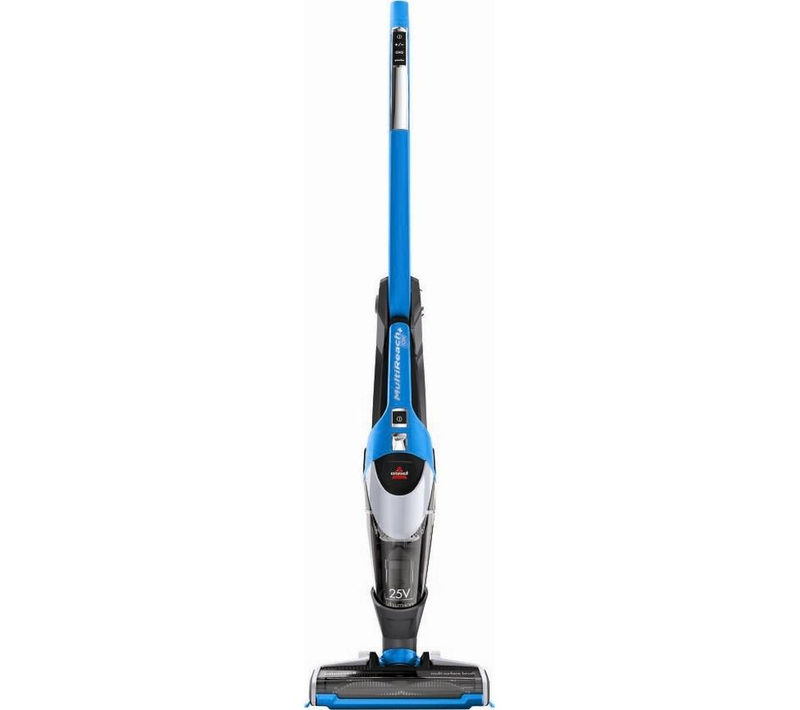 Vacuum cleaners have come along way in recent years, with brand leaders such as Bissell, Dyson and Hoover to name a few. The technology has improved so much with many cleaners now offering features such as cordless cleaning, multi speed suction and enough attachments to make you scratch your head in bewilderment! 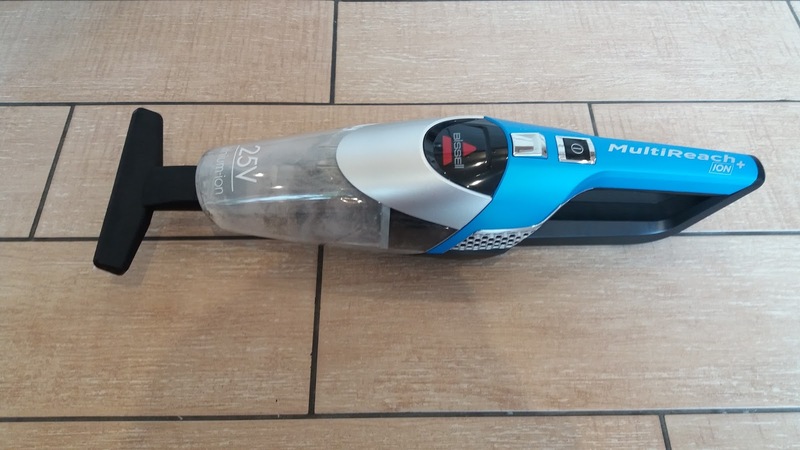 I was recently send the Bissell MultiReach ION 2-in-1 Cordless Vacuum to review and with two cats and a toddler it's already been put through its paces. The very first thing i noticed when i pulled this Vac out the box was how lightweight and compact this vaccum is. Long gone are the days when you need to be a 15 stone body builder in order to be able to easily move your vaccum cleaner around the house! I was really impressed with the overall design and look. It's very futuristic with its metallic blue and chrome colours. It's much more attractive than some of the more expensive vacuum cleaners I've seen. A quick read over the instruction manual and you are ready to go as there is pretty much zero assembly required. I then noticed the small control panel at the top of the vacuum's handle. 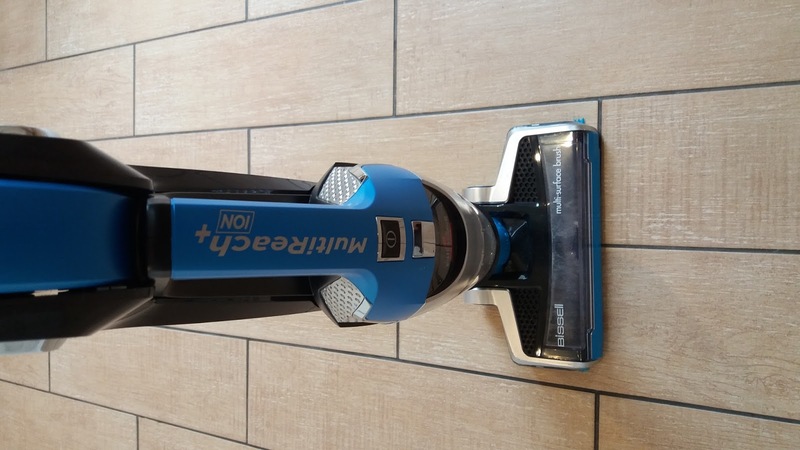 I thought this was a really good addition and is something I've never seen on other high end vacuum cleaners. ⦁ Power On/Off - For powering the vac on or turning off. ⦁ Brush - Activates the brush roller for carpet, hard floor and rugs. ⦁ Suction - Selects normal or high power suction. ⦁ Edgereach On/Off -For suction cleaning in hard to reach edges and corners. I decided the best test for this unit was my living room carpet after a day of my toddler doing his thing. I had left the unit to charge for approximately 2 hours (although the recommended time states 4 hours) as the 3 Blue LED lights on the front were telling me it was fully charged. Activating the high power mode makes a real difference albeit at the expense of battery power. It was effortless at picking up the crumbs and food particles my toddler had left behind. There is also a remarkable difference when using the brush roller in combination with high power. I was particularly impressed with the edge reach function. I have not seen that before and can confirm that it works a treat. Getting at the edges of carpet and wood floors was always a problem for my other cleaners. For cleaning the sofa there is a brilliant stair and upholstery tool which I've found such a great addition. 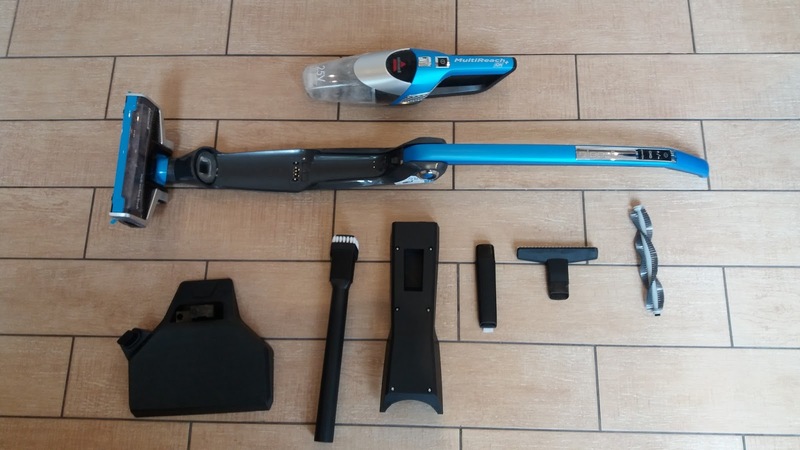 The removable hand vacuum detaches easily from the main unit with a sharp pull and you are free to connect any of the extra cleaning tools. For cleaning under tables and difficult angles, you can use the 2 way folding handle by pressing the trigger at the top of the handle. Not only does it aid hard to reach areas but is also much better for your back. The handle can also be released to lie flat against the main unit which is great for saving storage space when putting the vacuum away. Ceilings and high reach areas are done using the high reach extension wand. Total cleaning time is 40 minutes from a full charge. I think this is great as I have only been able to get 20 minutes from my previous cordless vacuum. It is worth noting that operating edge reach and high suction cleaning will drain the battery quicker but this is to be expected. 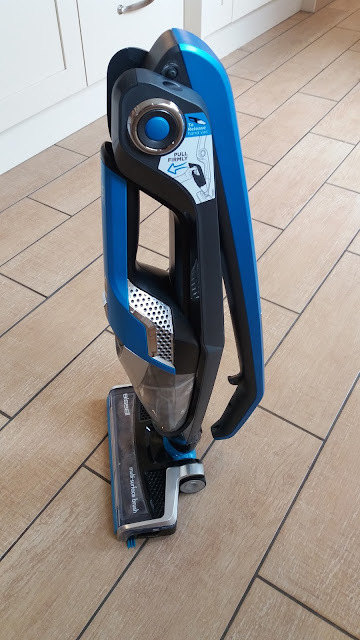 The vac is emptied by firstly removing the hand vacuum from the main unit, then pressing the release button to remove the dirt cup and then simply removing the filter and emptying the waste into the bin. It really is mess free and very simple to do. The only slight negative I have is that it does not hold quite as much waste as other cordless vacuums I have used but on the other side of that, this one is definitely the easiest to empty. The filter can also be washed to ensure optimal performance. Overall, I think this vacuum cleaner is fantastic. It is lightweight, cleans brilliantly and looks the part. I actually don't mind vacuuming when i'm using this! The MultiReach ION 2-in-1 usually retails at £259.99 but is currently on sale at £179.99 which I think is an absolute bargain for how well this vacuum performs. We have pets, so this might be worth considering to get rid of the odd bit of dust and fluff when a full vacuuming isn't required. I need a lightweight, efficient vacuum and this sounds great! Go to a garage, and ask them to spray the piece that is stuck with a lubricant. Home cleaning is very important for every one because we are live and every one want neat and clean house. Here is best vacuum cleaner for clean your house. This product working very good and also very easy to use.